As predictable as fall leaves changing color, the arrival of a new school year finds many college students experiencing sticker shock over the price of their textbooks. If they are able to swing the cost of all their books, they are left with the problem of having to carry them around. Furthermore, printed books become obsolete quickly as information changes rapidly in today’s world. For some colleges, eReaders can solve all of these issues. Allowing students to procure digital copies of their books and load them onto a single eReader device lowers cost, enables the student to have the texts with them whenever and wherever they want, and eliminates the need for bulky, heavy backpacks entirely. An eReader is a portable device which enables the user to read digital or electronic books. 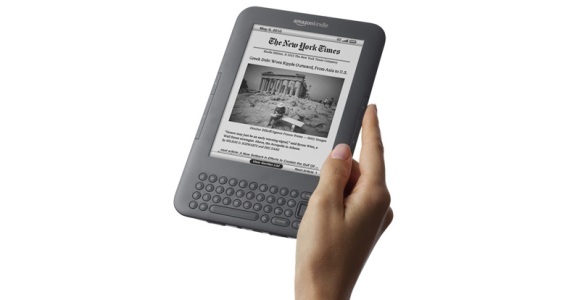 Common versions include the Amazon Kindle or the Barnes and Noble Nook. With storage space of such devices measured in gigabytes, eReaders can hold hundreds of books. A student can store all of the texts needed for for his entire college career with room to spare. Most eReaders have the ability for the user to highlight text just as one would do in a traditional book and later access these saved notations. The digital format also makes searching for specific words or passages possible. Since many eReaders also include some internet capability, accessing any web links included in a text is also easy. For many, reduced cost is the first advantage one thinks of when comparing an eReader to traditional textbooks. Certainly this might be one reason why e-textbooks are taking off at community colleges, where cost of books often outweigh tuition costs. Furthermore, the website College Books for Sale saw a rise in the purchase of e-books in 2007, with a more significant increase in 2010, indicating that the poor economy might be a factor. Some companies further reduce the cost of e-textbooks by allowing students to rent them. Amazon estimates this can save the student up to 80%. Plus, the user is only paying for the exact time that the book is needed. Any annotations or highlights that the pupil makes during the rental period will be saved to the device and accessible later. Another perk to replacing traditional textbooks with eReaders is reduced environmental impact. E-books need no paper and therefore destroy no trees in their creation, nor do they create the harmful by-products of the paper industry. Many youth, having grown up in the “green” revolution, see this a big benefit. Information changes rapidly in modern society, and traditional textbooks can be slow to update, rendering them inaccurate and obsolete. E-books can be updated quickly and easily, keeping them current. Finally, eReaders are convenient. Without having to fill a backpack to capacity with heavy books and thus risk shoulder or back strain, a student can have his entire college education at his fingertips. The pupil now has the ability to read and study whenever and wherever. The eReader slides easily into a purse or laptop bag or in some cases even a pocket. Dan Rosensweig, CEO of Chegg, states that “Today’s 8th graders will enter college expecting to use e-books. We are at the beginning of this arc.” Simba Information estimates that e-textbooks will see a compound annual rate of growth of 49% through 2013. In 2011, Amazon sold more e-books than paper ones for the first time. Clearly, the market for e-books is strong and will continue to grow. EReaders can be the only textbook a college student will ever need. About the Author – This article was written by Karl Stockton for the team at Kendall.